ELKTON, Md. – Cecil College’s Workforce Development and Business Solutions Department awarded $1,000 to Colonial Metals, Inc. to be used for workforce training for their employees. 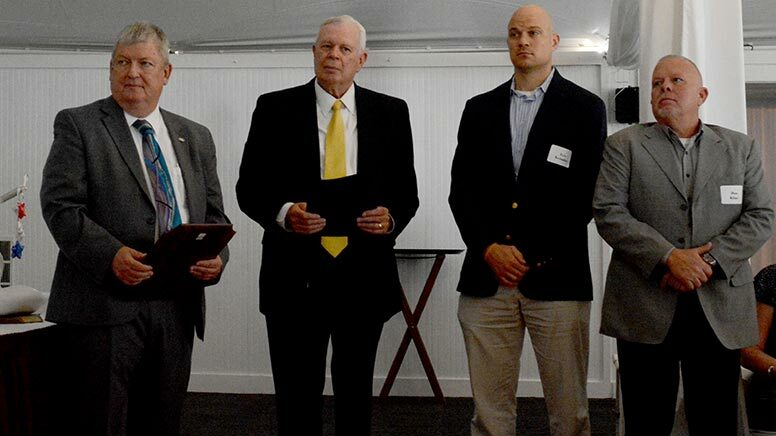 Present at the Susquehanna Workforce Network’s 35th Annual Meeting was Lee Geissler and Dan Klein (right side) from Colonial Metals, Inc. to accept the award. Second from left is Tom Lofland, Director of Workforce and Customized Training.